12-year-old big sister Margaret Mckenszie is a bright student, at the head of her class. She enjoys many pastimes from reading to video games. Her energetic, silly and carefree 5-year-old sister Maddie is ALWAYS looking to have fun no matter what. Her silly antics really ANNOY Margaret and often interrupt her studies and free time activities. Also, her weird behavior is starting to get on her big sister's nerves. There is never a dull moment in the Mckenszie household when Maddie's around. A Children's Picture Book Designed for the young and the young at heart. A slice-of-life story that all siblings can relate to in one way or another. 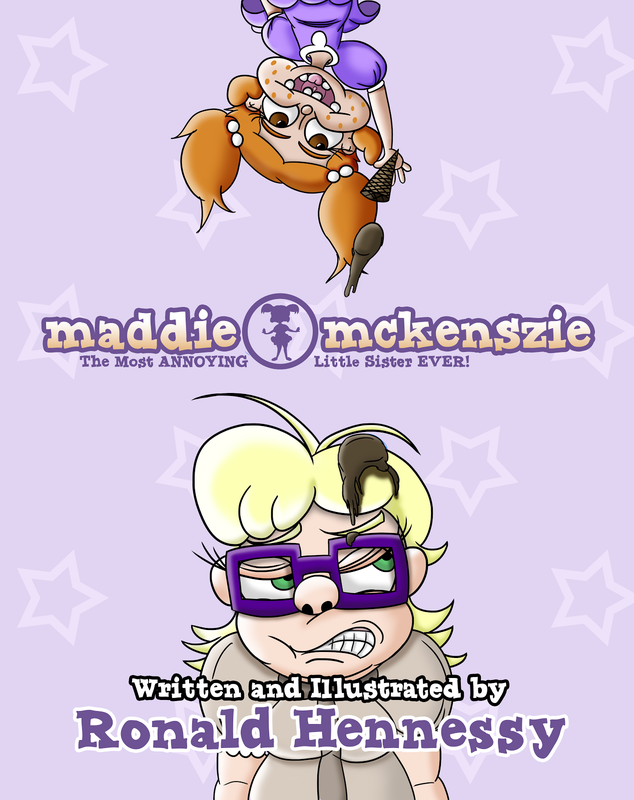 "Maddie Mckenszie: Most ANNOYING Little Sister Ever!" is available as a DRM-Free Portable Document File (PDF). Works on any computer or tablet. You can also download a FREE 12-page preview of the book to try it out.